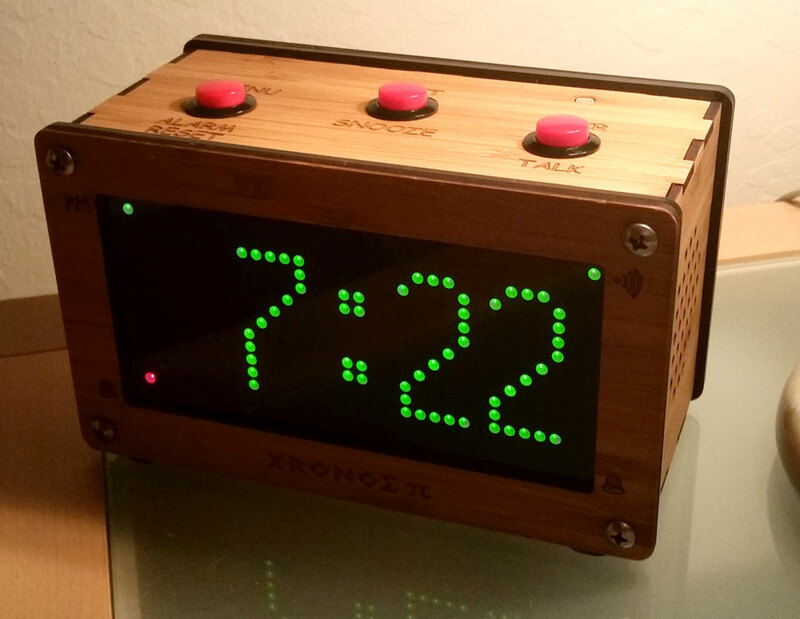 Xronos Clock platform is extremely hackable, and not just when it comes to software. Recently my good customer William P. designed several versions of enclosure modifications. In this one, he added GPS receiver to get precise time from GPS satellite. Here's a version of acrylic case that also uses different buttons. And finally check out this funky bamboo case! William is also a very good programmer, and he helped me fixing some bugs in the firmware and also he's the person responsible for several improvements. In fact he branched out his own version of Xronos firmware, which you can find here. If any of you made some mods of the clock, drop me a line, I would love to write about it!